Every year the PFMA commissions the well respected Pet Population report, which looks in detail at pet ownership trends. 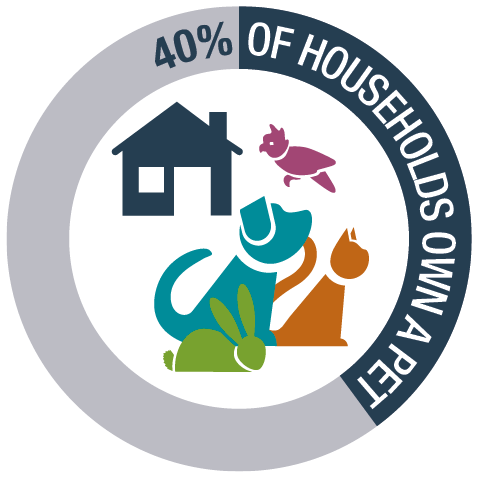 In 2019 it is estimated that 12m (40% of) households have pets. Each year a representative sample of UK adults are interviewed, by TNS, in face-to-face interviews, regarding their pet ownership. Over the last two years a sample of over 4,000 people have been interviewed. In order to further reduce statistical uncertainty, survey results are averaged over 2 years, giving an effective sample of over 8,000 people.